Comparisons between mountain ranges and tiny teeth come naturally to Pineda-Munoz because she studies animals’ mouths with a tool used by mapmakers: GIS, for geographic information system. The technology lets researchers take spatial and geographic data — whether it’s the distance between cusps or between peaks — and then quantify and analyze it. Pineda-Munoz, an evolutionary biologist at the National Museum of Natural History, has used GIS to create a database of mammal teeth. The pearly whites of more than 100 species are characterized via six measurable features that are related to food processing and give clues about an animal’s diet. Each of those characteristics gets a number. [R]esearchers are finding that Neanderthals and early humans weren’t all that different — they even got together and made babies every now and then. But when it came to diet, the two may have had different approaches. Both were omnivores. But, during the Ice Age, when the climate was constantly fluctuating, Neanderthals tended to chow down on whatever was most readily available, according to a study published this week in PLoS One. 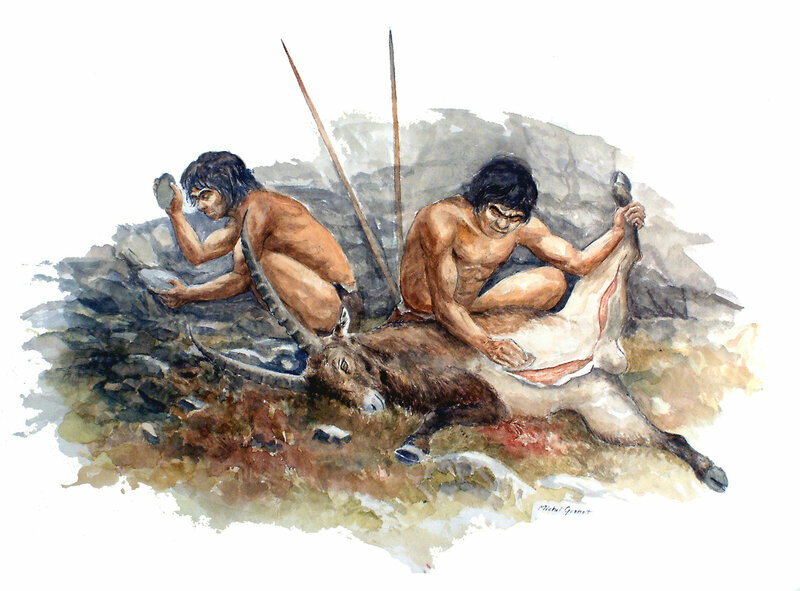 During cold spells, Neanderthals — especially those who lived in open, grassland environments — subsisted mostly on meat. During lusher climes, Neanderthals would supplement their diet with plants, seeds and nuts. Early humans, on the other hand, seemed to stick with a pretty consistent diet regardless of environmental changes: They regularly ate a relatively higher proportion of plant-based foods. Researchers figured this out by studying the tiny, microscopic dings and dents on ancient teeth. Eliashib, the quartermaster of the remote desert fortress, received his instructions in writing — notes inscribed in ink on pottery asking for provisions to be sent to forces in the ancient kingdom of Judah. The requests for wine, flour and oil read like mundane, if ancient, shopping lists. But a new analysis of the handwriting suggests that literacy may have been far more widespread than previously known in the Holy Land around 600 B.C., toward the end of the First Temple period. 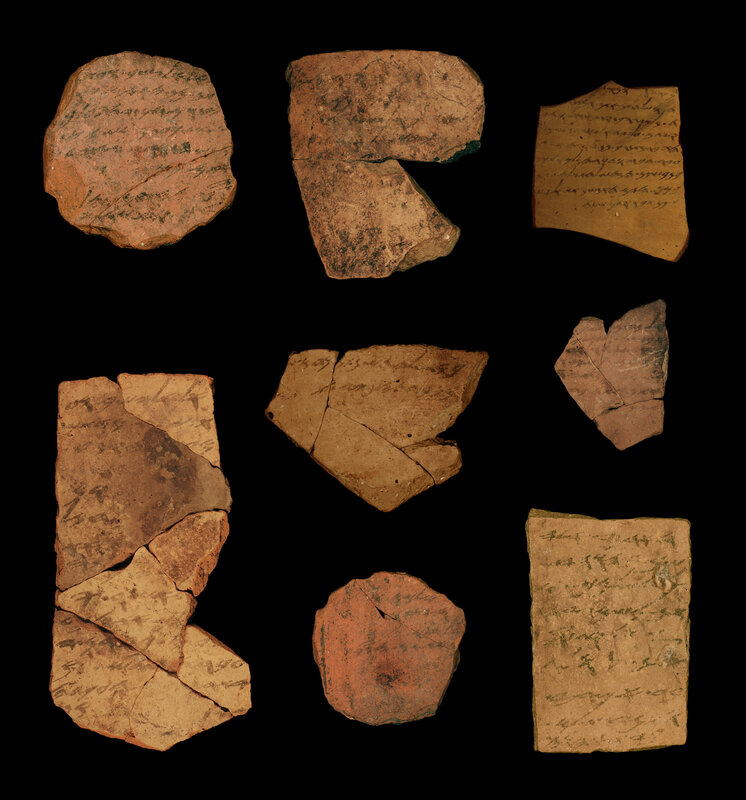 The findings, according to the researchers from Tel Aviv University, could have some bearing on a century-old debate about when the main body of biblical texts was composed. Last week, paleontologists published a study in the journal Science Advances revealing a possible habitat origin for modern snakes. This study was based on an exciting morphological discovery in a fossil snake that could help scientists understand why snakes developed limbless bodies and distinct sensory systems. The habitat of ancestral snakes has been debated between several studies, pointing to either aquatic or terrestrial origins. Studying the habitat of fossil snakes is limited to inference based on qualitative morphological analyses of the fossils themselves, or by interpretation of the depositional environment of the fossil, which can be problematic if the fossils were potentially displaced post-death. This new study, led by Hongyu Yi from the University of Edinburgh and Mark A. Norell from the American Museum of Natural History, produced a quantitative morphological analysis examining the inner ear across all lineages of snakes, including the Cretaceous snake Dinilysia patagonica, found in South American deposits. Yi and Norell concluded from their study that D. patagonica was a burrower, and that ancestral snakes likely occupied a fossorial (burrowing) ecological niche. How and when the first people arrived in the Americas has long been a contentious debate, and despite loads of new data from the burgeoning field of genomics, two separate studies published Tuesday show the debate is far from over. Both studies, one published in the journal Science and the other in Nature, sequenced DNA information to try to pin down the ancestry of Native Americans. They reach different and somewhat contradictory conclusions. The Science article describes a single pulse of migration from Asia, whereas the Nature article depicts a genetic history that’s more complicated. A happy accident led to the discovery of the ancient tools. Sonia Harmand of Stony Brook University and her team had been en route to a known fossil site on the western shore of Lake Turkana one morning in July 2011 when the group took a wrong turn and ended up in a previously unexplored area. The researchers decided to survey it and by teatime they had found stone artifacts. A recently completed study by an Israeli geologist has greatly increased the probability that an ancient tomb on the outskirts of Jerusalem is the final resting place of Jesus of Nazareth and his family. The new findings by Dr. Aryeh Shimron have linked an ossuary, or bone box, inscribed with the phrase “James, son of Joseph, brother of Jesus” by its chemical “fingerprint” to a tomb encased in a rose garden between a group of nondescript apartments in Talpiot, aJerusalem suburb. The tomb, discovered during construction in 1980, housed a remarkable collection of ossuaries upon which were inscribed several names associated with the family of the New Testament Jesus. Although the names in the Talpiot Tomb, (which included “Jesus, son of Joseph,” “Maria,” “Mariamene,” “Yose,” and others) were common in first-century Jerusalem, a cluster of names associated with Jesus in one location is statistically compelling, and unique in the archeological evidence of his life. If yet another name associated with the New Testament family can now be sited at Talpiot, it becomes a kind of statistical snowball and creates a near-certainty that the tomb of Jesus of Nazareth has been found.